It is with deep regret that I announce the passing of M.W. “Murray” Leedham on 23 December 2015. No other details available at this time. Out deepest sympathy to Murray’s family at this very sad time. 03 November 2015: ATTENTION ALL FORMER 408 SQN FLIGHT ENGINEERS. 05 December 2015: Comox Valley Flight Engineer Annual Christmas BBQ. It is with deep regret that I inform you that Gus Baudais MWO retired passed away peacefully in his sleep on 03 October 2015 at the age of 92. Our sympathy goes out to Gus’s family in their time of great loss. There will be a celebration of life for Gus on the 10 October 2015 at 888 Wing RCAFA Comox at 1300 hrs. My apologies for this but I did not receive this information until well after the fact and I am posting it now for the benefit of many of Leo’s friends in the flying community who may not be aware. 18 July 2015: It is with great sadness that I announce the passing of Martin Gauthier today. Martin flew on Northstars with 426 Sqn and Yukons with 437 Sqn and after his retirement from the Air Force flew on L1011’s with Air Transat until they retired from service. Martin’s funeral will take place at the Funeral Home of Urgel Bourgie, Lachine QC. on Monday 27 July at 1500 hrs. 03 July 2015: It is with great sadness we announce the passing of Keith MacDougall. Keith MacDougall passed away on July 3, 2015 in Calgary after a short battle with cancer, at the age of 60 years. After graduating from high school, he embarked on a 27 year career with the Canadian Armed Forces, mainly as a flight engineer with the air force and had the good fortune to travel throughout the world. His final military posting was in Winnipeg where he continued his aircraft related career with Standard Aero. His final assignment with Standard Aero was in Abbotsford, B.C., where he retired in 2013. Keith enjoyed meeting and being in the company of friends and family where he was all too happy to apply his dry sense of humour. He was an advert reader, tinker of computers, consumer of copious amounts of coffee and to the dismay of his family, he enjoyed fast cars. Christmas and warm destination vacations were a favourite. The oldest of five kids, Keith is survived by his brothers, Kevin (Claire) of Calgary and Terry (Heather) of Lloydminster; his sisters, Sandra (Gerard) of Glace Bay and Debra (Pat) of Sydney, N.S. ; and by nieces and nephews, Ian, Lindsey, Andrew and Adam MacDougall and Tyler and Logan Shaw. He is also survived by numerous aunts and uncles. Keith was predeceased by his parents, James and Sadie (nee MacKinnon) MacDougall of Glace Bay. There will be no funeral services held at this time, a celebration of life will be held at a later date in Abbotsford, B.C. and a family graveside service will be held in Cape Breton. Condolences may be forwarded through www.mcinnisandholloway.com. In living memory of Keith MacDougall, a tree will be planted at Fish Creek Provincial Park by McINNIS & HOLLOWAY FUNERAL HOMES, Cochrane, 369 RAILWAY STREET, COCHRANE. Telephone: 1-800-661-1599. 07 Jan 2015: It is with great sadness that we announce the passing of Everett “RED” MACLEAN today. A Legion/Wing Poppy service will be held at Weaver’s West (Dundas St) Funeral Home at 1.45 pm on Tuesday, January 13th. 15 May 2015: It is with deep regret that we announce the passing of Sgt(Ret) Jim Bonner. Our condolences to Jim’s family for their loss. Jim will be interned at the Beachwood Military Cemetery on the 25 May 2015 at 1500 Hrs. Following the service at the cemetery there will be a wake in Jim’s honour at the Stittsville Branch of Royal Canadian Legion at 1700 Hrs. 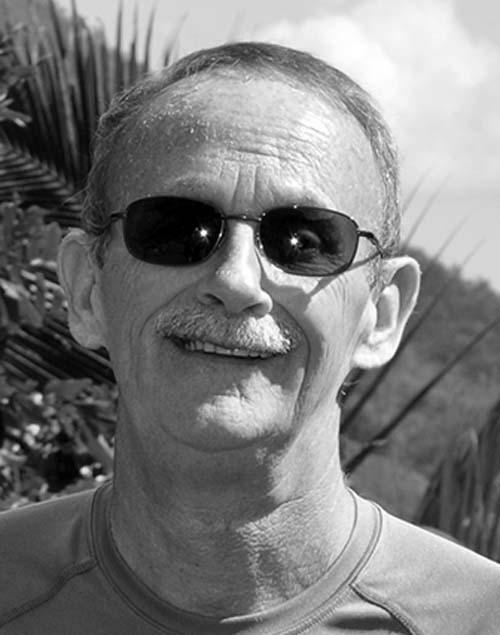 18 May 2015: It is with deep regret that we announce the passing of Sgt(Ret) C.R. “Chris” Wilson. Our condolences to Chris’s family for their loss. There will be a Celebration of Life for Chris on June 8th 1400 Hrs at the Muir Lake Community Church, aproximatly 5 miles north of Stony Plain on Sec Hwy 779. 19 May 2015: It is with deep regret that we announce the passing over the May long weekend of T.D.”Ted Gelinas. No further details available at this time. Our thoughts are with Ted’s wife Sheila and their family in their time of loss.